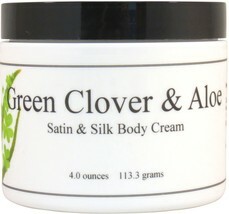 This lotion contains Shea Butter, Aloe, Silk Amino Acids, Sunflower, and Coconut Oils. 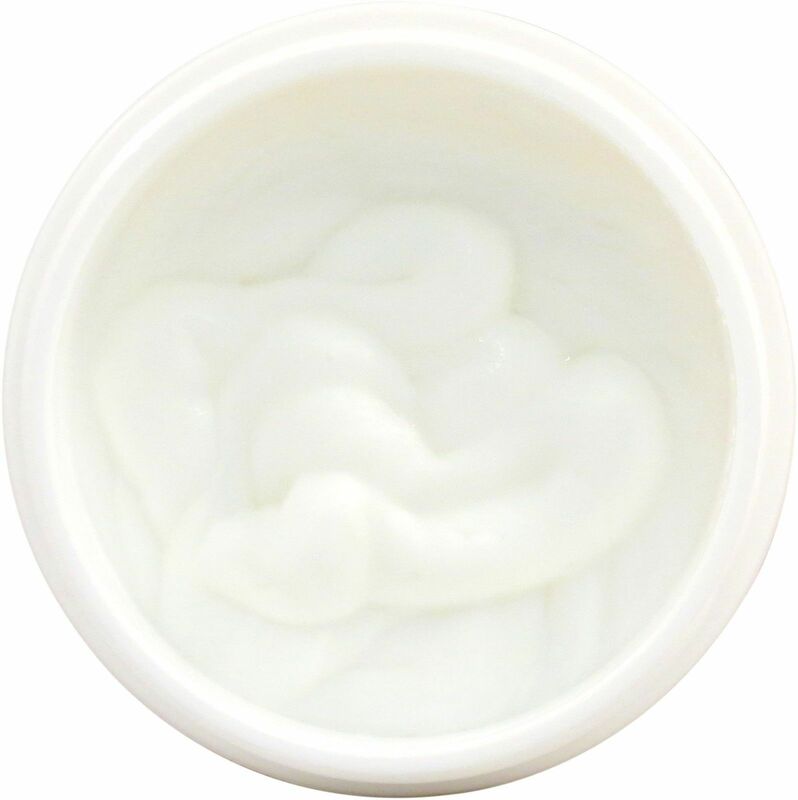 Shea and Aloe are well known moisturizers. Sunflower Oil which is rich in Vitamin E, a natural anti-oxidant. Silk Amino Acids add a silky note to the lotion. 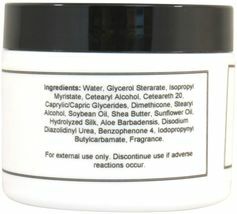 Coconut oil contains the natural antioxidant, vitamin E. This lotion does not contain mineral oil. Paraben free. This lotion is lightly scented so feel free to layer with your favorite body spray and perfume. Handmade in the USA Made with Shea Butter, Aloe, Silk Amino Acids, Sunflower Coconut Oils. 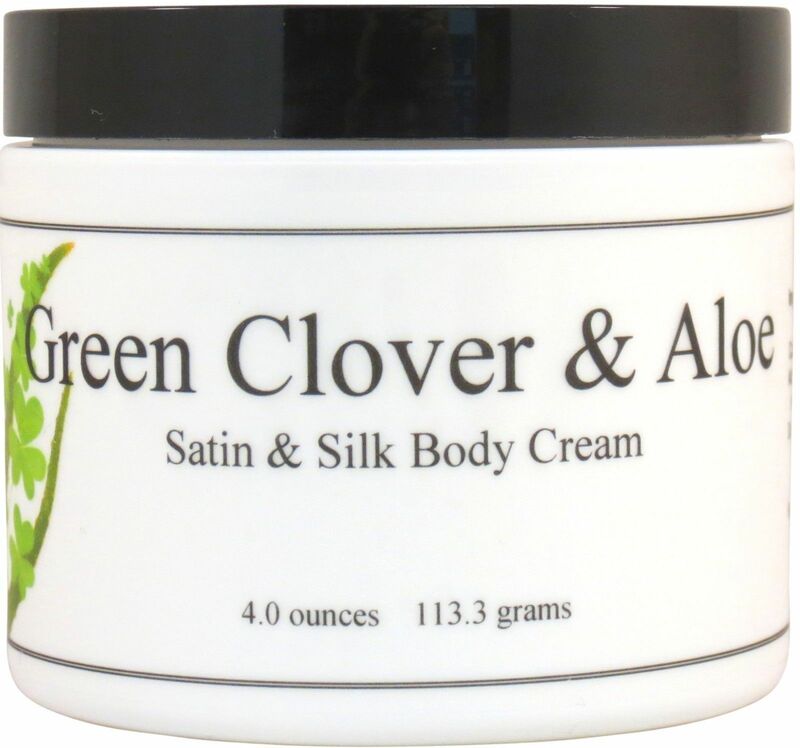 Paraben and Dye Free Green Clover and Aloe is a terrific unisex scent. It is a fresh, green fragrance that reminds us of wild summer herbs growing in a field. This fragrance is much more complex than its name sounds. A floral fruity combination of fresh citrus and jasmine petals on a woodsy, sweet musk background. This fragrance is phthalate free. 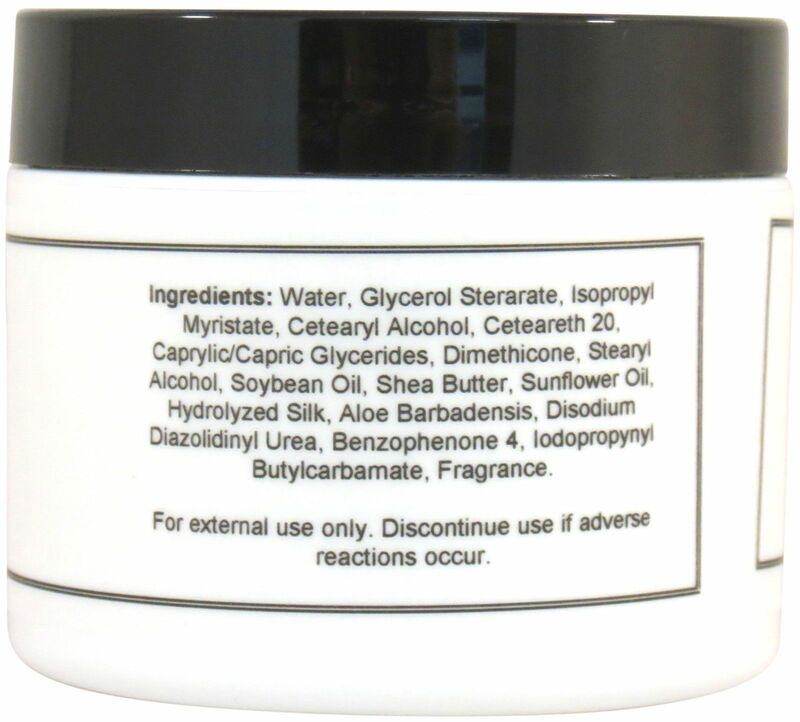 Ingredients: Water, Glycerol Sterarate, Isopropyl Myristate, Cetearyl Alcohol, Ceteareth 20, Caprylic/Capric Glycerides, Dimethicone, Stearyl Alcohol, Soybean Oil, Shea Butter, Sunflower Oil, Hydrolyzed Silk, Aloe Barbadensis, Disodium Diazolidinyl Urea, Benzophenone 4, Iodopropynyl Butylcarbamate, Fragrance.